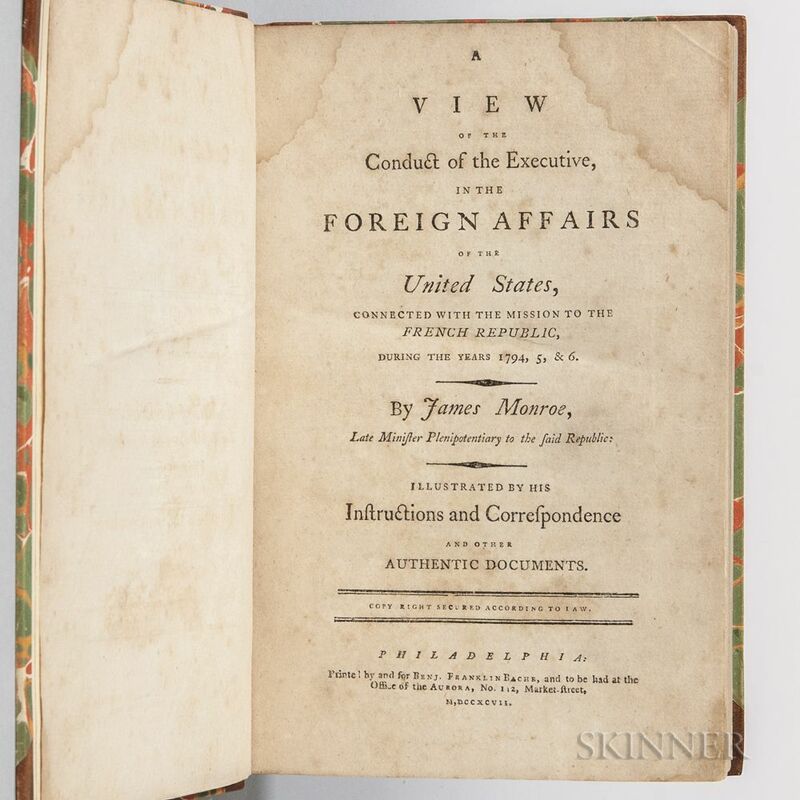 Monroe, James (1758-1831) A View of the Conduct of the Executive, in the Foreign Affairs of the United States, Connected with the Mission to the French Republic, in the Years 1794, 5, & 6. Philadelphia: by and for Benj. Franklin Bache, 1797. First edition, octavo, bound in very good modern period style half leather with marbled paper boards, some toning and spotting to contents, 7 3/4 x 5 in. Monroe wrote and published this book twenty years before he became President. 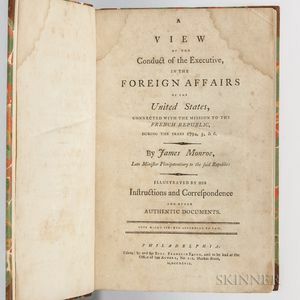 The text (reproductions of diplomatic correspondence) documents Monroe's activities as Minister to France under Washington during the French Revolution. a-i4 (lacking i4), B-Z4, Aa-Zz4, Aaa-Fff4.